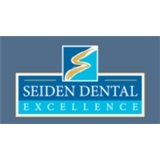 Seiden Dental (Levittown) - Book Appointment Online! We are pleased to offer family dentistry to patients of Levittown, East Meadow, and Wantagh (and the surrounding areas). Our team of dentists and professionals are dedicated to providing top-notch dental services and individualized care for each patient. Dr. Gregory Seiden and our team has served our community for more than 20 years. Our comfortable and safe office environment is loved by all of our patients, and we know you’ll absolutely love it here!